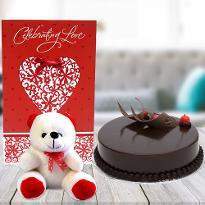 If you are looking for the perfect gift for your lover and want to surprise your lover on this valentine, then look no further as winni has all the gifting items you need to impress your loved ones. 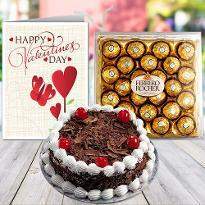 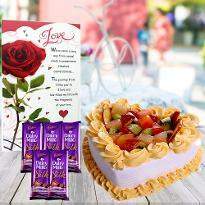 Just order Valentine's day gifts online and get your valentine gifts delivered anywhere in Jammu. 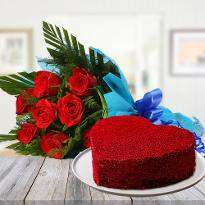 Valentine Day is the best day to express your unconditional love. 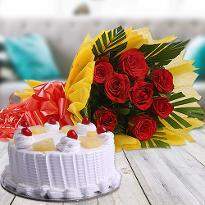 On this very day, every couple around the globe try various means to impress their better half. 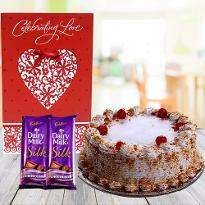 You can send Valentine gifts online in Jammu from Winni to your special one. 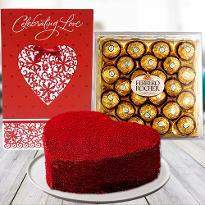 We have a wide variety of Valentine Gifts present in our category. 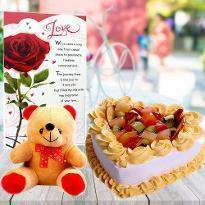 You can find dry fruits, soft toys, customized mugs, cushions and much more in our Valentine gifts category. 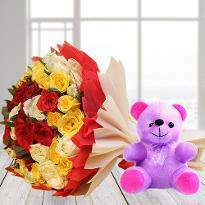 Most of the times the same problem that arises is what to buy and from where to buy. 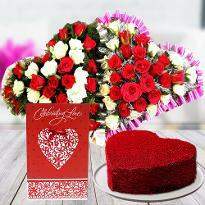 But don’t worry as we have all kind of Valentine gifts that we have handpicked carefully in our Valentine gift category. 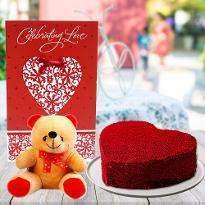 All you need is just a few minutes to browse and choose the Valentine gifts from Winni and few clicks to place an order. 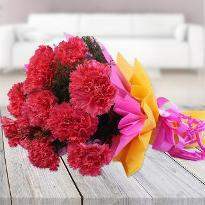 With our advanced filter option, you can easily narrow down your search of Valentine flowers and save your valuable time. 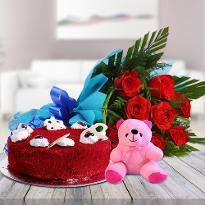 You can light up the face of your lover by sending their favorite gifts on Valentine’s Day online from Winni. 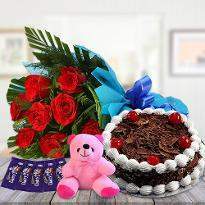 As prices of gift touch the sky at the time of Valentine Day, but not on Winni, you will find all kind of Valentine Day gifts online on Winni at best prices. 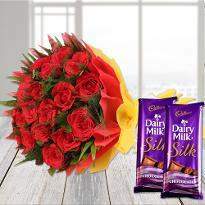 If you haven’t figured out what to buy for your better half on this special occasion, check out our personalized range of Valentine gifts online that are just picked by us for Valentine's Day. 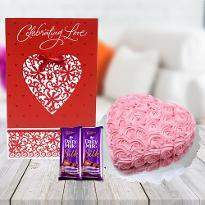 Our breathtaking Valentine gift collection will surely blow you away with their first glance. 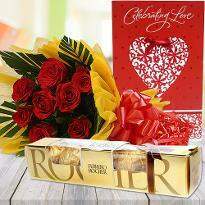 Gifts can play a crucial role in strengthening the relationship. 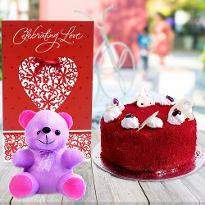 But now you can choose the quality of Valentine gifts easily from Winni. 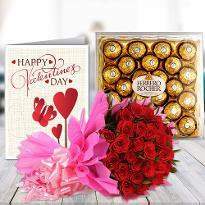 You can put a million dollar smile on the face of your lover by sending them Valentine gifts at their doorstep from Winni. 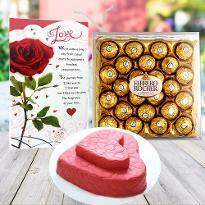 You can write your personal message and send it along with Valentine gifts. 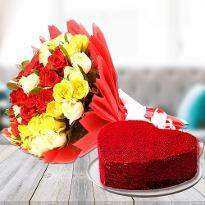 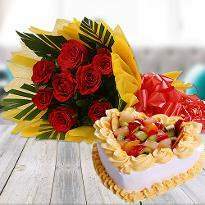 You can also send the fresh cakes and colorful flowers along with your Valentine gifts from our online web portal. 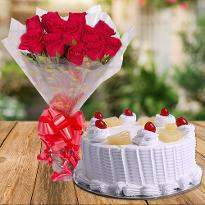 Staying away from your beloved one on special days can be quite painful especially if that special occasion is Valentine Day. 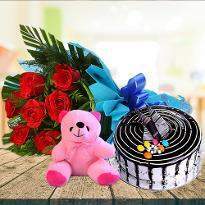 But you can curb the distance easily with Winni and send a token of your love by sending Valentine gifts at the doorsteps of your lover. 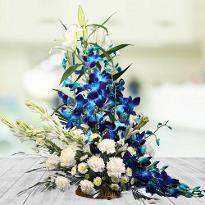 Winni also gives you the option to place your order in advance, so you can avoid last minute rush or you can place your order online on the same day. 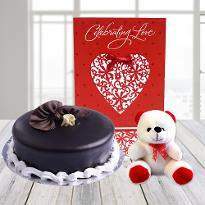 Just place your order online for Valentine gifts online from Winni and make your Valentine’s Day unforgettable one.